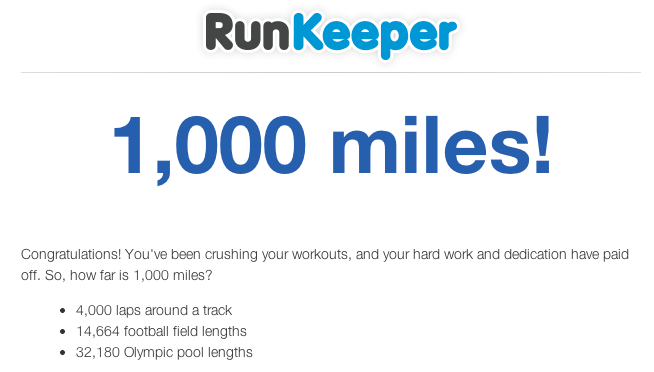 RunKeeper is the best! Constantly sending me emails with accomplishments that would otherwise go unnoticed. February is off to a great start, new PR, although knee pain continues on and off. Need to learn how to better pace myself and keep my runs consistent.